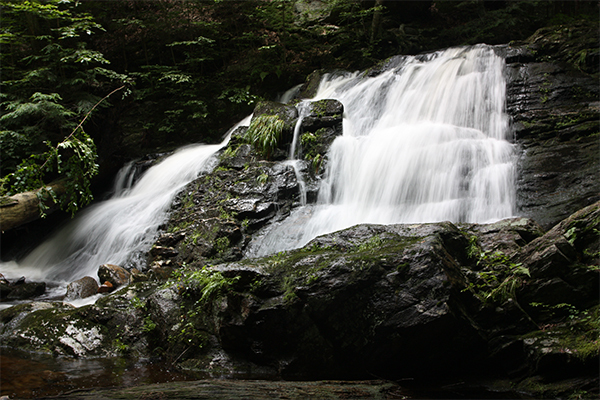 This 18-foot waterfall is gorgeous in high water but nearly lifeless for much of the summer when water is scarce. 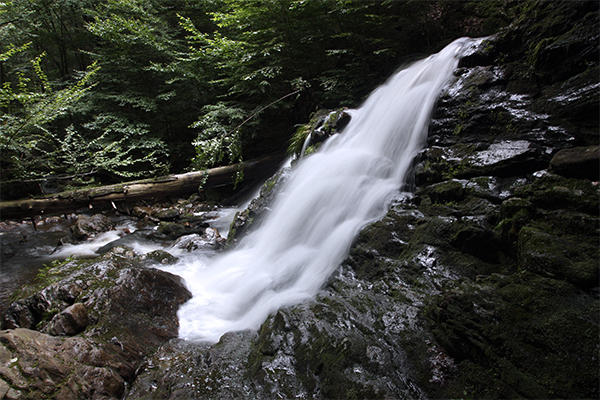 Under normal water conditions, the brook is split into two segments just below the lip of the waterfall. Both sides are heavily bordered by moss, which always adds a nice element to waterfall photography. Swimming is not an option here, as the pools are shallow and the water often retains a rusty color. Upon his passing in 1932, George P. McLean, former Governor of Connecticut and United States Senator, left his property to trustees who formed the McLean Game Refuge in accordance with his will. Several additional purchases of adjacent tracts of lands since then have increased the size of the refuge. 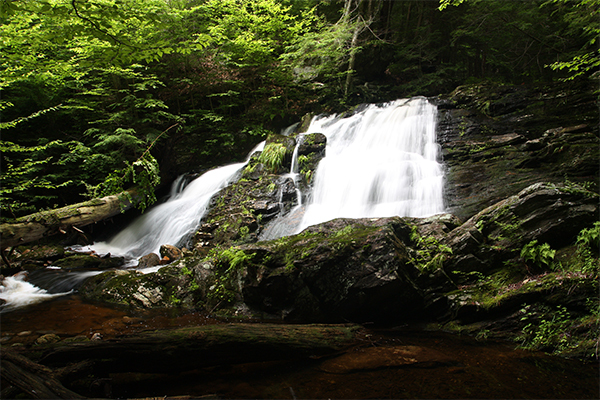 As a result of these conservation efforts, this waterfall should now be forever open to the public. There are many trails within the refuge available for hiking. Take note that despite what the phrase “game refuge” might imply to some, there is no hunting allowed in the park. Fishing and mountain bicycling are also prohibited, and dogs must be leashed. 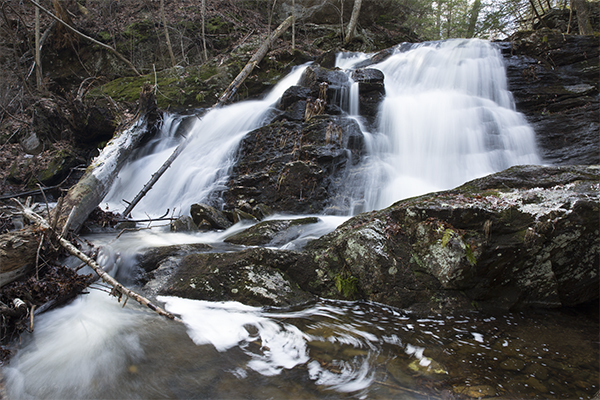 For additional information on the park, including a detailed trail map, visit the website of the McLean Game Refuge. One reader emailed me in April 2015 and stated that the town of Granby voted a few years ago to discontinue the maintenance of Broad Hill Rd, which passes very near the waterfall. Motor vehicle access is now prohibited on the road, but hiking and mountain biking is still possible on this rough, unmaintained road. Hiking distance from the end of the paved section of Broad Hill Rd is 0.7 mile.